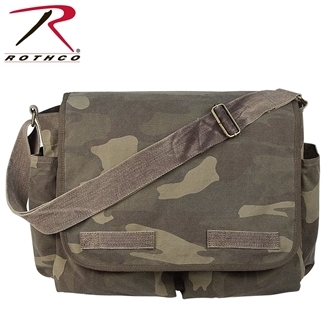 Rothco's vintage canvas messenger bag is made from heavyweight washed cotton canvas and features an enormous main compartment that can hold just about anything from books to all your essential survival gear - this bag can hold it. This messenger bag is the ultimate EDC, just ask Jack Bauer! In addition this large canvas messenger bag features an inside zipper pouch, 4 outside pockets, brass hardware, and a 2 inch wide adjustable shoulder strap. The bag measures about 15" x 11" x 6" and is available in Blue, Brown, Khaki, Mocha, Pink, Smokey Branch Camo, Woodland Camo. 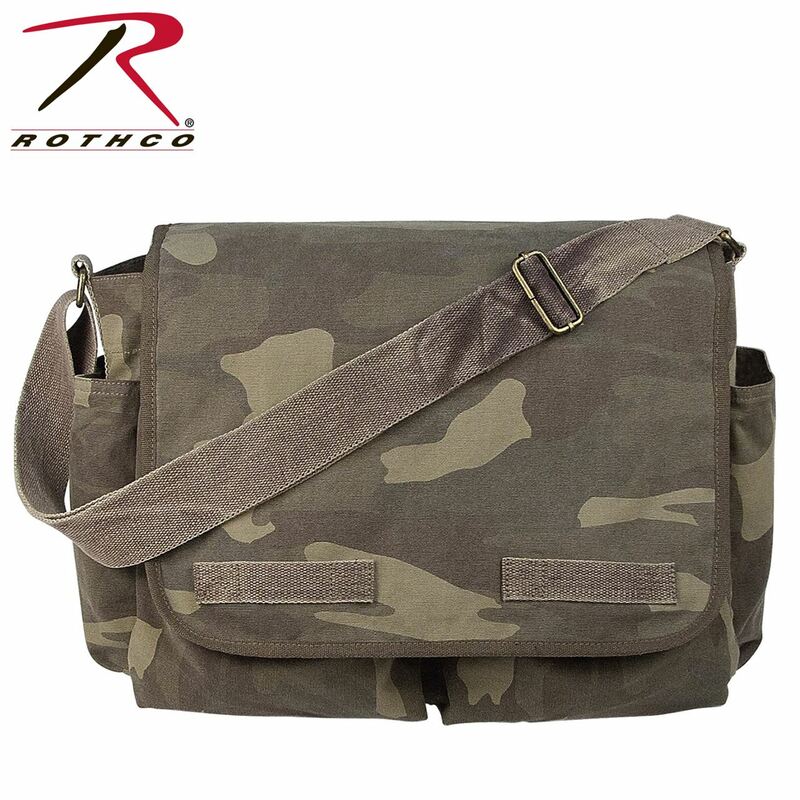 Rothco's vintage canvas messenger bag is made from heavyweight washed cotton canvas and features an enormous main compartment that can hold just about anything from books to all your essential survival gear - this bag can hold it. This messenger bag is the ultimate EDC, just ask Jack Bauer! In addition this large canvas messenger bag features an inside zipper pouch, 4 outside pockets, brass hardware, and a 2 inch wide adjustable shoulder strap. The bag measures about 15" x 11" x 6" and is available in Blue, Brown, Khaki, Mocha, Pink, Smokey Branch Camo, Woodland Camo.